Marijuana has been getting more pop culture media exposure than ever in the past few months, being featured in comedy, drama, fiction, and nonfiction. We have comedians and pundits calling for political change, while Mary Jane is starting to be portrayed in dramas and comedies in a way that’s just an everyday part of life, you know, like it really is. I for one am happy to see the mainstreaming of marijuana in our media as this can go a long way towards breaking down the taboos and stigmas associated with this incredible plant. Here are some recent highlights you might want to check out. 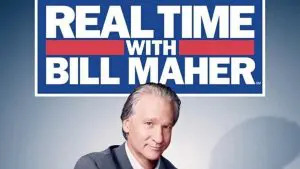 In Weed the People, comedian Bill Maher delivered a powerful “New Rule” on the February 20th episode of his HBO series Real Time, calling for President Obama to pardon nonviolent drug offenders, especially those in for marijuana. Maher’s commentary slammed the hypocrisy of politicians who smoked pot and because of their privileged positions got off Scott-free while millions of Americans are rotting away in prison cells. Maher says that the President should admit that putting people in prison for drugs is wrong and that he should pardon them all! I couldn’t agree more. Larry devoted an entire episode to talking about legalizing marijuana on March 4. With the exception of a couple of ill-informed hack stoner jokes (“They just passed marijuana legalization in Washington, DC, great just what Congress needs, a drug that makes you work less.”), the show was extremely positive. Having Dr. Carl Hart, one of the world’s leading experts on the drug war, didn’t hurt. All in all, Wilmore did a fun and informative half hour show on our favorite herb. 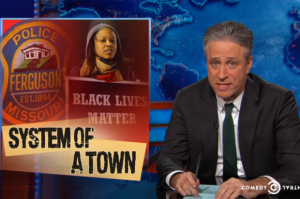 The Daily show addressed the racism, selective prosecution, and the financial abuses of the Ferguson, MO police department in a segment with correspondent Jessica Williams called System of a Town: The F.E.A. Party. Each time the camera cuts away, Williams accrues citations and fines for essentially being black. On one cut away Williams came back with a dime bag pinned to her clothing, allegedly planted by Ferguson PD in order to levy a fine on her. In Talk to Your Rabbits About Marijuana, late night host Jimmy Kimmel made ample use of the ridiculous fodder thrown out by the DEA when they warned voters in Utah that passing medical marijuana legislation could result in a lot of stoned rabbits in the fields. This season, as in the previous one, the female lead characters Carol and Beverly (Kathleen Rose Perkins and Tamsin Grieg) on Showtime’s Episodes also take the lead with cannabis. Sharing a joint is just part of the girls get together and gossip ritual. In the FX drama, Matthew Rys character Phillip Jennings (a Russian spy) uses marijuana to gain the trust of a teenage informant. Later in the episode, he and his wife Elizabeth (Keri Russell) sneak smoking a joint at their suburban American home. 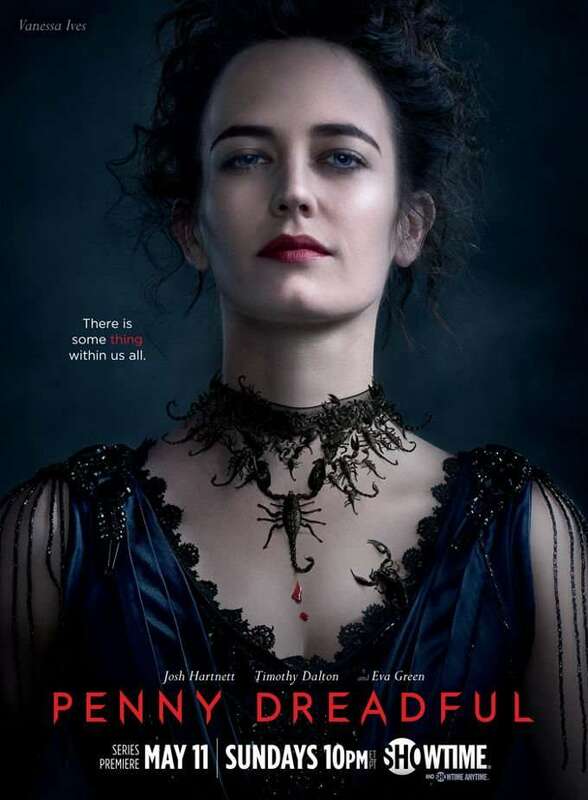 I am most looking forward to the return of Showtime’s underrated gothic drama Penny Dreadful. Combining storylines from Dracula, Frankenstein, Jack the Ripper, and more, its lavish production, intelligent scripts, and first-rate cast make this show well worth going out of your way to see. Last season saw female lead Vanessa Ives (Eva Green) smoking cannabis from an elegant cigarette holder (a snippet from the sensuous scene is even used in the credits), as well as sharing a joint with friend Ethan Chandler (Josh Hartnett). It’s no surprise as the Victorians helped usher marijuana use into the modern age.